After becoming intrigued by a passage in King James I Basilikon Doron that taks about plate sleeves and other forms of concealed armour I thought I'd start a discussion on the subject. What other examples of concealed armour have people found? 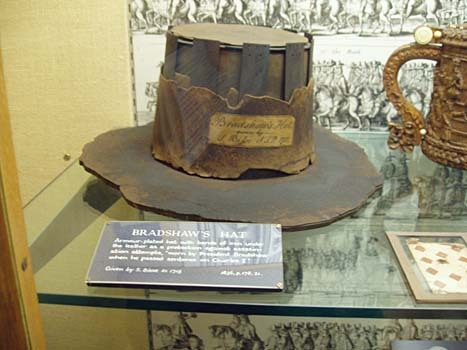 Ive at least seen 2 or 3 examples of those hats in the army museum in Paris. They look real funny. One of them was more like a cowboy hat. Furthermore ofcourse a Kazaghand and other types of armours based on more or less the same idea. 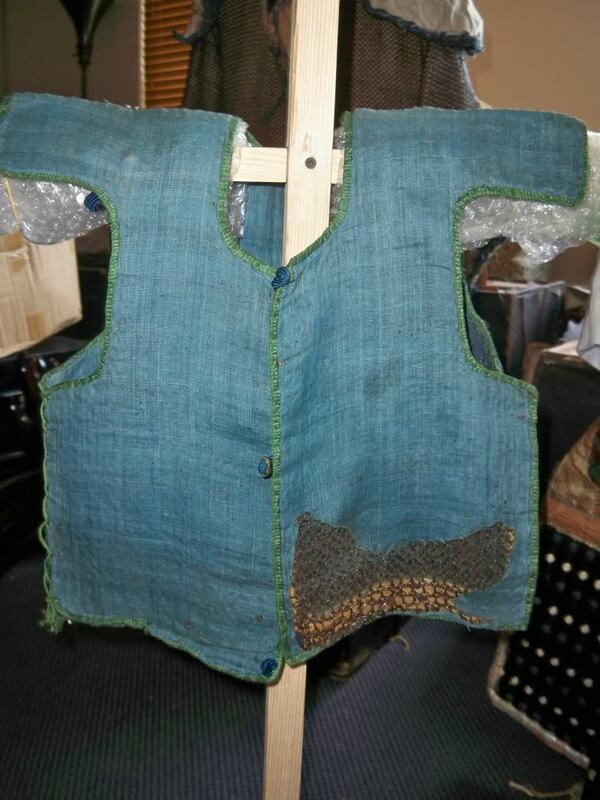 I know that in the 1e ww trench soldiers would wear a plate torso protection under their uniform coats. Actually only seen one on a photo but anyway. And also that one battle where Parthian Heavy Cav would cover up their armour with leather parts to give the Romans the idea they would be fighting lighter troops. Forgot the name of the battle though. Also Persian troops covered their armour frequently. If they had any offcourse. (officers and household troops) I cant think of many other forms of armour that was concealed. Interesting thread though! The Japanese were really big on concealed armour. 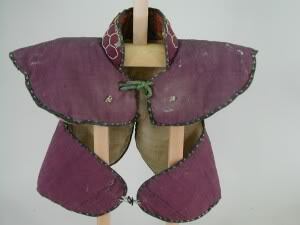 Kusari gusoku was often worn under "street clothes". For example, this shirt had a middle layer of chain. Anyone have the cite for this? This seems to have been a generalisation that sloppy historians have drawn from a single example. Herodotus wrote that Masistius survived for a short time after being unhorsed because of a scale corselet worn under his tunic. Are there any other accounts of Persian armour being concealed under their clothing? There are a small number of surviving Ottoman armoured kaftans. Sotheby's sale #6655, lot 1340 was one example. Mail over the back from neck to small of back, arms down to the elbows, and front down to a little lower than the back. Looks like a normal thick kaftan. This is probably referring to Carrhae, where Plutarch (Life of Crassus, 23:6) states according to this translation that Crassus "led them on, not slowly, nor halting from time to time, as is usual on the way to battle, but with a quick and sustained pace until the enemy came in sight, who, to the surprise of the Romans, appeared to be neither numerous nor formidable. 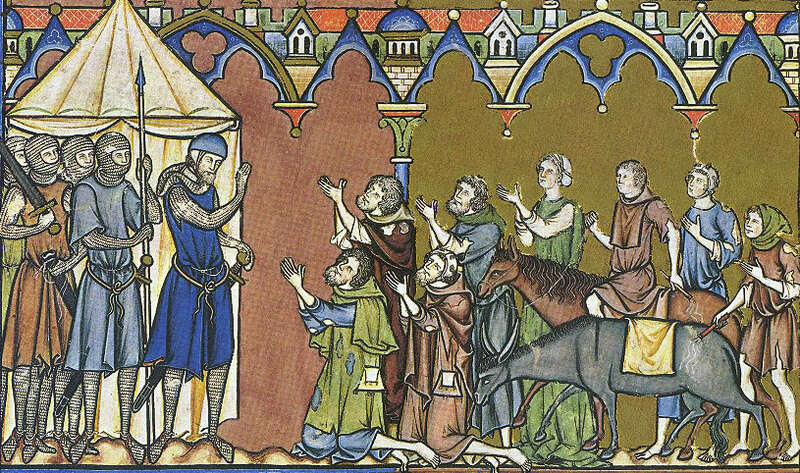 For Surena had veiled his main force behind his advance guard, and concealed the gleam of their armour by ordering them to cover themselves with robes and skins." The exact reason for the coverings is a little unclear to me, though. Was it to conceal that they had metal armor? Was it as some sort of camouflage (Cassius Dio states that most of the Parthian army was hidden by uneven or wooded ground)? Or was it maybe just to keep the sun off until it was time to fight? With a large force moving around in armour there would be a lot of noise as armour pieces rattle around so maybe covering the armour would dull the sound and glints of the Sun reflecting off shiny bits ? Hearing them move the Romans might assume they where facing an un-armoured and more lightly armed force or underestimate numbers ? Or maybe a little bit of all of the above ? An interesting subject as I have been studying Japanese armored clothing including the concealed types. It would be nice to see some varieties from Europe to see if the Japanese ones were copied from European ones. I have read that the "manchira", an armored vest and the "gappa" travel cape were influenced by Portuguese garments. 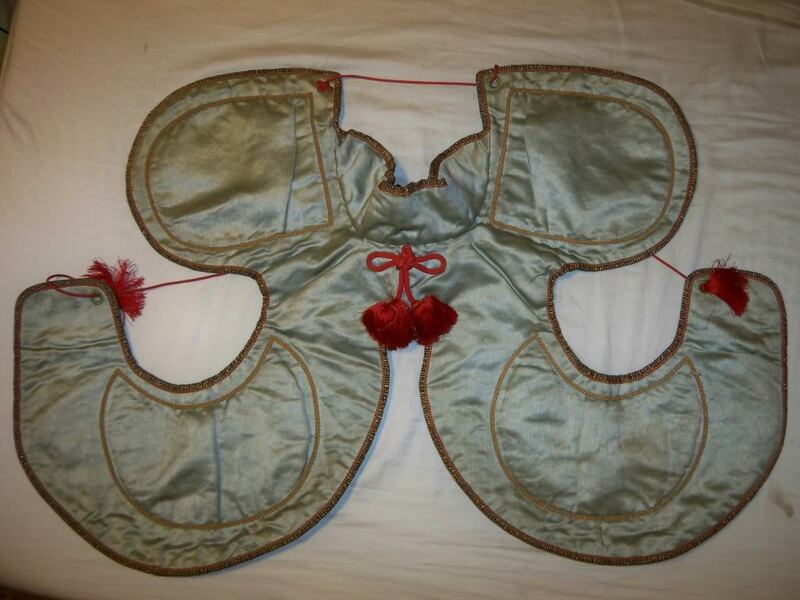 Here is a manju no wa which is a type of armored vest that has flaps which wrap from the back, around the arm pit area and tie in front. 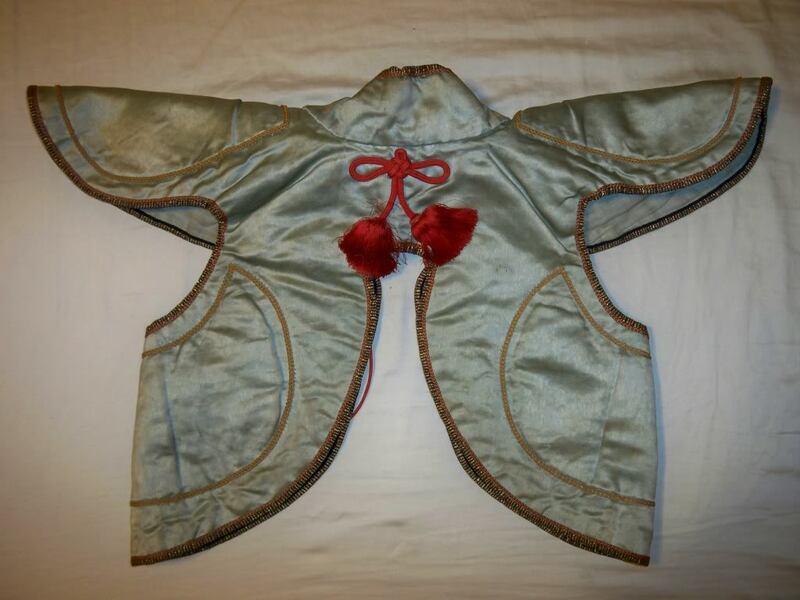 This one is completely lined with kusari (chain armor) and covered on both sides by a luxurious covering of cloth. I think I remember reading somewhere that when the Salvation Army started moving into Ireland, that they had groups of women that did their street corner appeals for them. These women were said to wear iron lined bonnets with there uniforms because of several injuries sustained by being hit with rocks. I'll have to do a bit more digging to find the exact reference. Also in a 13th C manuscript I found a picture of a type of helmet presumably worn under the mail coif. Not sure how hidden that would have been considered. Several other websites make mention of "secret helms", but I can't recall having seen any reference on the historical lines for the eras they claim to have come from. The Constable arrived first and he had with him all, or most, of his troops, for he had mustered there three hundred men-at-arms, and he wore his breastplate under a loose coat. I don't know how common this was, but it's the reference I quote for wearing a breastplate (fairly often) between my doublet and my coat in my 15th-century kit. Makes for a nice piece of martial bling. 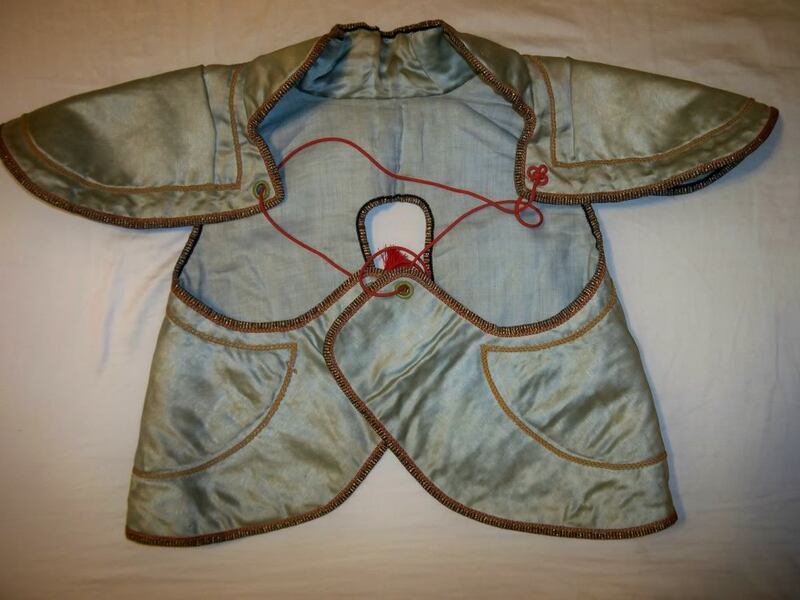 A Kamisol, a vest plate garment worn by Prince Eugen together with cavalry breast and back plate at the beginning of the 18th century. 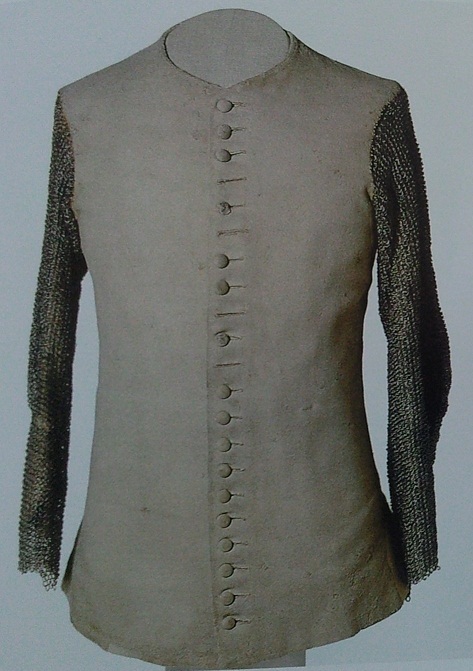 Note the sleeves of mail that give extra protection to the arms. These would have been concealed under the dark red uniform that is shown on a contemporary portrait of the prince in his battledress. William manchira are actually vests that are completely lined with armor of some type while wakibiki are closer to voiders as they just cover a specific area (the armpit area), manju no wa are some were in between, very short vests with wings that come from the back and wrap under the armpit area and connect in front. All three of these armor pieces can be concealed by a covering of cloth. The Strategikon of Maurice talks about coverng armour with a cloak to prevent the enemy from spotting it at a distance, but I don't have the reference or the Greek.